A harmonious and fulfilling lifestyle – is what people look for when hunting for a residential space. Vatika promises a space for your family that is laden with modern facilities and is an abode where you can make memories with your family to cherish for a lifetime. The residential spaces we offer are developed and built to meet the most common expectations, at prices that are moderate and affordable. The Vatika India Next (INXT), Gurgaon is a 700 acres township that offers all the modern luxuries and is home to 1,00,000 happy residents. A meticulously planned residential real estate with all modern amenities at convenient distances. A city in itself, it guarantees a posh lifestyle like no other. It offers residential and commercial spaces, along with educational institutions, medical institutions, marketplaces, clubs and other entertainment facilities within its premises. Everything a family needs, from recreation, entertainment to basic needs a family might need to live a truly fulfilling lifestyle. 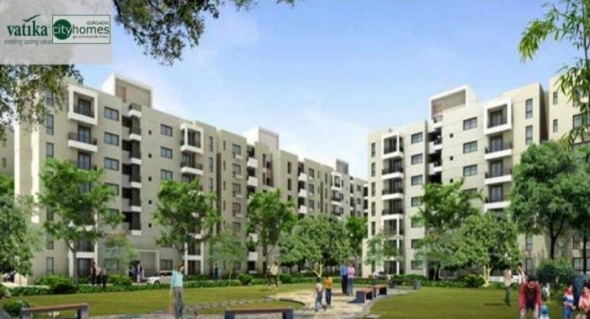 It is an integrated city spread in sectors 82, 82A, 83, 84 and 85 on NH-8 in Gurgaon, Haryana. Another one of our mega township is the Vatika Infotech City, Jaipur, Rajasthan. It is also built by international designers and is a hallmark of harmonious living. It is the first in India to introduce the concept of “New Urbanism’, which promotes eco-friendly and self sustainable models of development. It is home to more than 200 families and counting. The township also features the temporary campus of Manipal University, spread across 60,000 sq.fts of area, a Navyug Group Millennium school, an exclusive clubhouse, a cafeteria, gymnasium, billiards room, card room, lounge and recreational areas. This is the largest township in Jaipur and spans over 600 acres of land. These residential complexes offer ample green spaces that include parks, landscaped gardens and avenues that make sure that people get to breathe fresh air. Emphasis on providing facilities such as broadband, video surveillance, waste recycling, water harvesting and power generation., which ensures comfort and a harmonious living, while in tune with nature. These are thoughtfully planned townships to serve your every need. These townships provide great connectivity with metro rails and expressways. These residential real estate properties ensure a great level of comfort to people and is the epitome of modern living. This entry was posted in Real Estate Development, Residential Space on October 10, 2013 by Admin.